SCHENECTADY, N.Y. -- A little girl whose father and three siblings died in an arson fire has a simple holiday wish: She wants enough holiday cards to fill up her Christmas tree. Safyre Terry is the sole survivor of the blaze that killed her family two years ago. 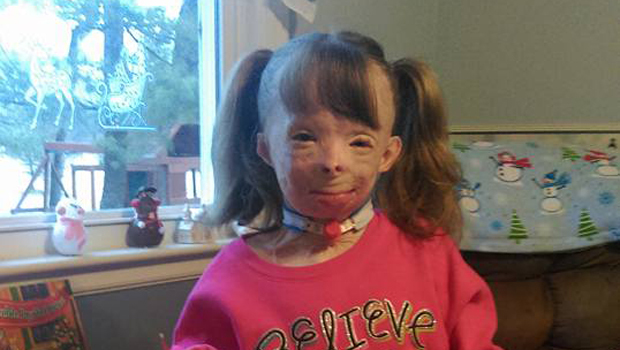 Safyre, now 8, has endured many surgeries for burns over 75 percent of her body. Her custodial aunt, Liz Dolder, said Tuesday that Safyre was "over the moon" when the first card arrived. But Dolder said the family was unlikely to receive enough cards to fill the card tree. Dolder posted a photo of Safyre on Facebook and told of her wish. She's been deluged with responses. Dolder says "it's just magical. She's so excited." In a subsequent Facebook post, Dolder thanked Hulk Hogan for supporting the girl's wish. "It means so much to her," Dolder wrote.